Anthony Martial is ready to stay at Manchester United and ESPN claim the club are confident he will reject interest from Juventus, Paris Saint-Germain and Bayern Munich to sign a new deal. Martial's current contract is due to expire this summer but United will trigger a one-year extension to keep him until 2020. 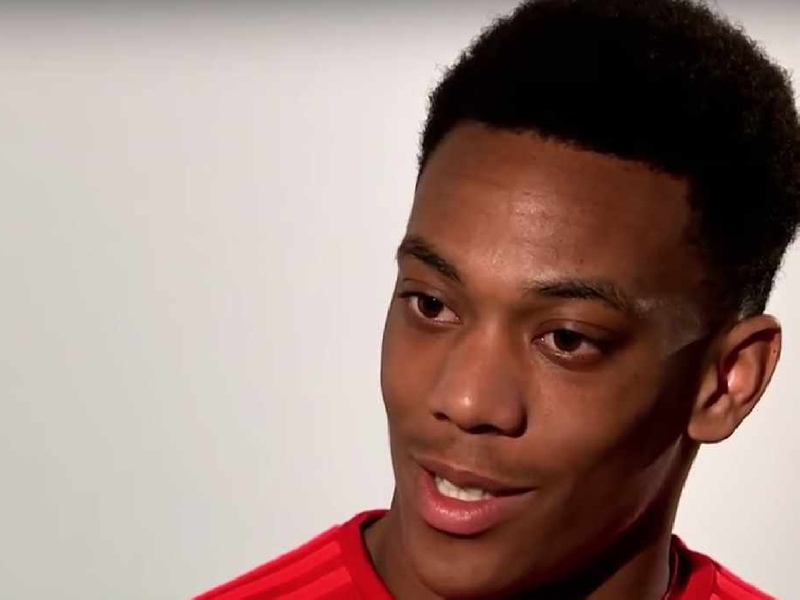 But sources have told ESPN that the club believe they will convince Martial to sign a new five-year deal. The Frenchman has a fractious relationship with manager Jose Mourinho but scored twice for the Red Devils at Stamford Bridge at the weekend to prove his worth in the starting line-up. Love Sport verdict: There has been plenty of to-ing and fro-ing on this deal which suggests to our seasoned eyes that both sides have contrasting views. However, Martial appears to have decided he will outlast Jose Mourinho and Saturday's reminder of his ability was very timely. Manchester City took the opportunity of Juventus playing on their front doorstep to send scouts to check up on Alex Sandro, according to the Sun. City have been linked with the Brazilian defender before as they look to provide competition for Benjamin Mendy at left back. Chelsea have also previously shown an interest in the 27-year-old but with Marcos Alonso having signed a new five-year contract at Stamford Bridge yesterday, they are unlikely to challenge the Premier League champions for Sandro. Juventus are likely to set Sandro's price at about £50million as he is a 12-time international for Brazil but he does have less than two years remaining on his current contract. Love Sport verdict: There's something about whacking a Brazil shirt on a player that adds about £15m onto any player's value. In Sandro's case, it's probably deserved when you consider the competition at left back for him to win 12 caps for the Selecao. 🤔IS EMERY PURPOSELY STARTING GAMES SLOWLY? With @Arsenal being considered slow starters in their games so far this season, some fans believe this is being done on purpose. Find out what @ALittleBitArse1 said about this below. Italian outlet Calciomercato claim Nicolas Tagliafico is a target for Arsenal. Nicolas Tagliafico only joined Ajax from Argentinian side Independiente in January for £4million. But the 26-year-old, who has appeared 10 times for the Argentina, has impressed in the Eredivisie and could be the long-term replacement for Nacho Monreal. Gunners boss Unai Emery is also reportedly keeping an eye on Liverpool's Alberto Moreno who is yet to agree a new contract with the Reds. Love Sport verdict: He's got half a season's experience in the Netherlands and now he's a Premier League defender apparently. It would be a very bold move indeed - but Arsenal's transfer committee are going for a few deeper dives than previous incumbents.